In 2005 I was driving down the freeway and a highly negative bumper sticker caught my eye. I can’t exactly remember the content but it was something very ignorant or derogatory toward another human being. As my heart pumped, my reaction was to speed up and flip this person the bird. 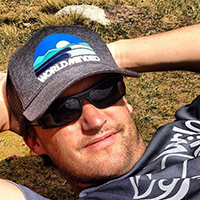 The outcome of this story could be very different had not I refrained….Instead I thought long and hard for the rest of my six hour drive from the Bay Area to the Eastern Sierras about the connection of all things and how we have a tremendous impact on one another. It was a very unique time for me as I was going through a divorce and searching for something greater. I got it on that drive and the idea of World Minded came to me. The concept of creating a company that displays only positive messages snowballed and soon the idea of t-shirts came along as the perfect canvass to display those messages. Let me back-up even further than 2005. At a very young age a seed was planted in me by my mother that I was destined to do something positive for the world. She was one of the most selfless people I had ever met and I feel blessed to have been raised by her. She passed away from cancer in 1997 and I spent those eight years pondering what it was I am supposed to do for the world. I would like to extend a HUGE thank you to all the World Minded supporters who purchased our products and spread the message about our ethical brand. “So now what” you may be asking? My vision for the last several years was an online magazine, newspaper, blog, etc. that portrays only the great things that people are doing. 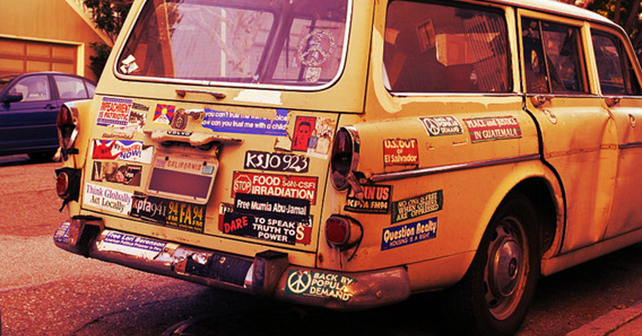 Negative media (such as that pivotal bumper sticker I mentioned in the beginning) is a huge overlooked issue in my mind. I have seen countless examples in my life that we become what we think about and if all we see is negativity; where does that leave us? Inspiration is everywhere and being World Minded is recognizing that everything is connected and our impact significant. So I am still a salesman but not selling organic cotton, made in the USA t-shirts but selling inspiration. More like a promoter than a salesman and the new site will be promoting remarkable people, impactful organizations, ethical businesses, inspirational events and positive ideologies. 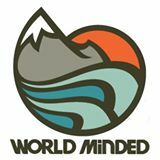 If you, anyone you know or company you work for is doing great things for the world, please email me at charles@worldminded .com. We would love to promote it because I know people will be inspired by your story! Thanks again for all the support the past nine years and please stayed tuned as this new evolution of World Minded continues to unfold…. Best of luck with the changes Charles. We wish you all possible success with spread a positive message. Best of luck Charles with everything and I hope this new venture snowballs into a world wide flow of positivity. If you ever need anything writing wise I would be glad to help out. Just a thought, I might have an idea for you for someone who is making a difference. I will email you about him. Hi you guys! Great to see you here. The foundation is bringing Globethon, an awareness program for women’s cancer to Doha, Qatar in the Middle East. It’s a month long awareness campaign culminating in a walk and fair like event on September 13th. You are the new “Stoke Broker”! Love you guys and everything looks sick!